Burst through the language barrier and discover historic Shanghai on a private half-day door-to-door tour that adapts to suit your timings. 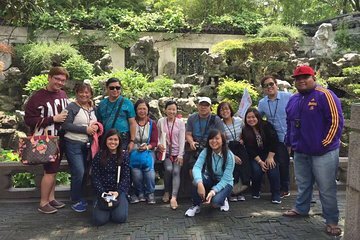 If you start your tour before 2pm, experience the classical Yuyuan Garden, Old Shanghai, and the Confucius Temple; if you start later, enjoy the Bund followed by a Huangpu River cruise. Whichever option works for you, savor a tea ceremony and soup dumpling feast along the way. Guide will meet you at your centrally located hotel and return you to your hotel. Departure time is completely flexible based on your schedule. If you choose a departure time after 2:00PM, note the change in itinerary (but equally awesome tour!